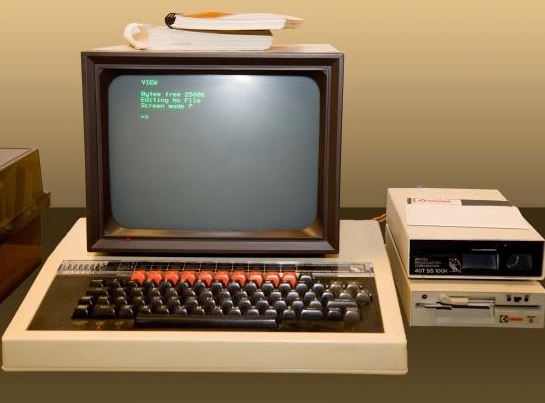 The first computer printer to enter my life was a dot-matrix printer attached to a BBC computer in a primary school. When children entered my Reception class I used to sit down at the computer with them and get them to tell me stories about their lives, just a couple of sentences as a rule. Then I'd print the stories nice and big on a sheet of A4 paper and they'd draw a picture and I'd stick them all in a big book. Those books must have been read hundreds of times, each child reading their own story to anyone who would listen. From this simple activity they learnt a fundamental lesson. Writing was a way of communicating their thoughts and ideas to other people. Writing was important. THEIR writing was important. Of course, the key thing here is turning the things children say into words on a page, and writing it by hand is almost as good. But seeing the words in print does add something, and that was especially so when computers were new. When I started writing my own stories I used a typewriter at first, before moving on to a word-processor which was like a typewriter with a two line LCD display and a floppy disc drive. That floppy disc meant that I could take bits and pieces that I'd written and print them out on the inkjet printers at work. I was amazed at how much more important my writing looked (to me at any rate) when it was printed out in Times New Roman 12 point. When I wrote a whole novel and I was ready to send it off I wanted it to look important, and my neighbours let me print it out on their printer (I was still working on the word processor). I printed out a lot of drafts of that book on their printer—thanks Clare and David! I used to try different fonts, trying to see which was the most impressive. Years later I asked an editor if they minded which font a writer used. The answer, not surprisingly, was that it made no difference at all. I was able to set her mind at rest, but it goes to show, just because you tell a child something, it doesn't mean they understand. There are many different ways of learning to read and the route my four-year-old grandson has taken is a new one on me. He has learnt the names of all the stops on the Nottingham tram lines, together with the automated announcements that go with them, and now, looking carefully at the words, he is gradually learning to recognise them. In the long ago, had he been in my class, he would have started a project on trams. We would have made a tram journey game to play with his friends. We would have played pelmanism and snap with cards with the names of the stops written on. We would have sorted them in different ways — lanes, roads, streets, vales. We would have made model trams. We would have worked out how many people would fit on. We would have written stories about trams and photocopied them so we could read them together as shared reading books. I could go on, probably forever, but at least for half a term. We always tried, back then, to start from children's own interests and, with a touch of creativity from the teacher, we could almost always cover everything that needed to be learned. And it was fun. Even if other children didn't share an obsession with trams it was still possible for an individual child to follow their own path. And if you think that having thirty children all doing different things sounds like hard work, well, it is and it isn't. Children who have chosen their own field of study tend to be highly self-motivated, and anyway it was rare that thirty children were all doing their own thing all the time. But it was a given, when I was a young teacher, that if a child came into school enthused by ants, or trains, or puppies, then we'd try to build on that enthusiasm, often with the whole class, but quite frequently with the individual child. Statutory requirements are less exacting than they have ever been . . . The head is thus left considerable freedom for planning the daily programme. The timetable is an expression of his (sic) educational philosophy and that of his colleagues; it reduces to firm terms what they consider best for children, and demonstrates their beliefs about the relative values of what the school has to offer. And what did my grandson's teacher (who is very nice, by the way), say when she heard of his ability to decipher the Tram map?